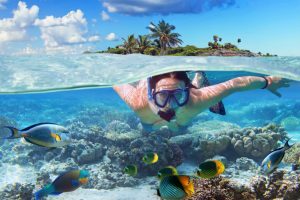 Wetsuits are designed for surface swimmers as well as divers to keep them warm in cold water, and shield them from the harmful rays of the sun in warm climates. 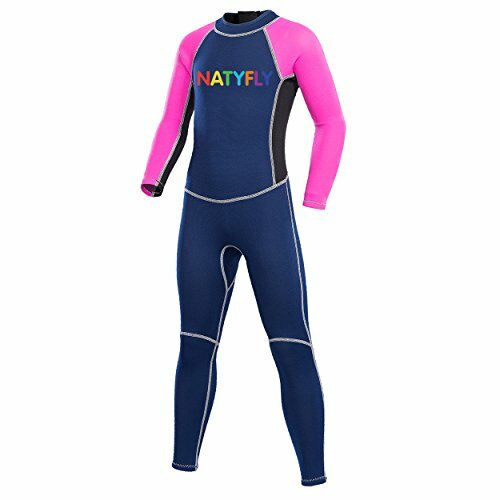 This series of NatyFly Neoprene Wetsuits is designed with kids in mind, and can be had in a choice of five exciting color options—blue, green, pink, new blue and one short sleeve variant. However, the aesthetic appeal of the kid’s NatyFly Neoprene wetsuits is not the only aspect that helps them rank well in this space; it’s the performance and durability they offer in both smooth and harsh waters that gets them the gold! The NatyFly Neoprene is a wetsuit that is exclusively designed for kids to keep them safe, warm, buoyant, and of course looking cool. It is crafted from superior quality material that shields against cold temperatures, but don’t write them off just yet if you live in warm climate zones, because there’s a lot more oomph under their hood. 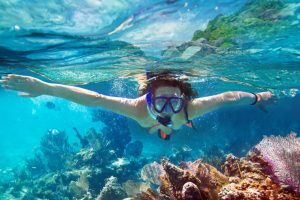 Water sport professionals believe that the more buoyant you are, the higher your body will float in the water. And the higher above in the water, the less effort your child will expend with each stroke. The neoprene material of the NatyFly wetsuit improves buoyancy, especially in skinny swimmers, and consequently accelerates swimming speeds given that more effort is spent on direct and forward propulsion rather than trying to avoid sinking. Additionally, this series of kids’ wetsuits by NatyFly greatly reduces drag—the friction between a swimmer’s body and the water to make them more fluid in the water. It can be ordered in both short and long sleeve models and an assortment of sizes, making it easy to get the right fit whether for the river or ocean. 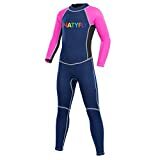 This range of NatyFly wetsuits is geared towards kids, and as such is available in kid-friendly colors and sizes starting from XS for kids with heights between 32” and 37” to XL for heights between 52”and 57”. They are also a great fit for adults looking for smaller size wetsuits, but if you need a larger size with the same quality, the NatyFly product portfolio does offer a few enticing options. 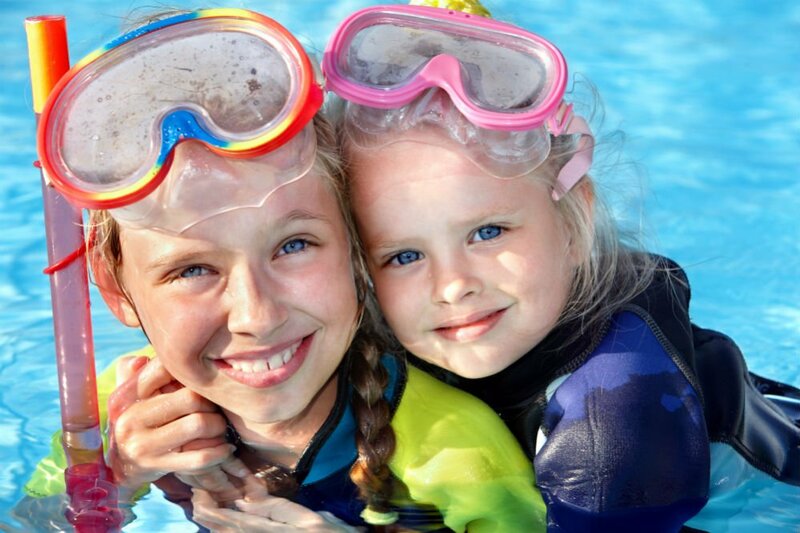 The price of the NatyFly wetsuits for kids varies depending mostly on the color and size you choose, but needless to say won’t burn a hole in your pocket. Plus, they come with premium features often seen in higher priced models such as flatlock stitching. 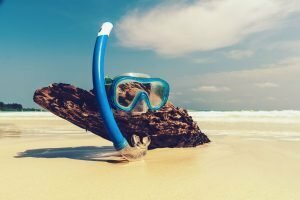 Considering their robust build quality, you won’t have to make this same investment anytime soon unless of course you must have a new wetsuit each year. And to seal the deal, each of the NatyFly wetsuits is backed by an unconditional 30-day money back satisfaction guarantee against factory defects. 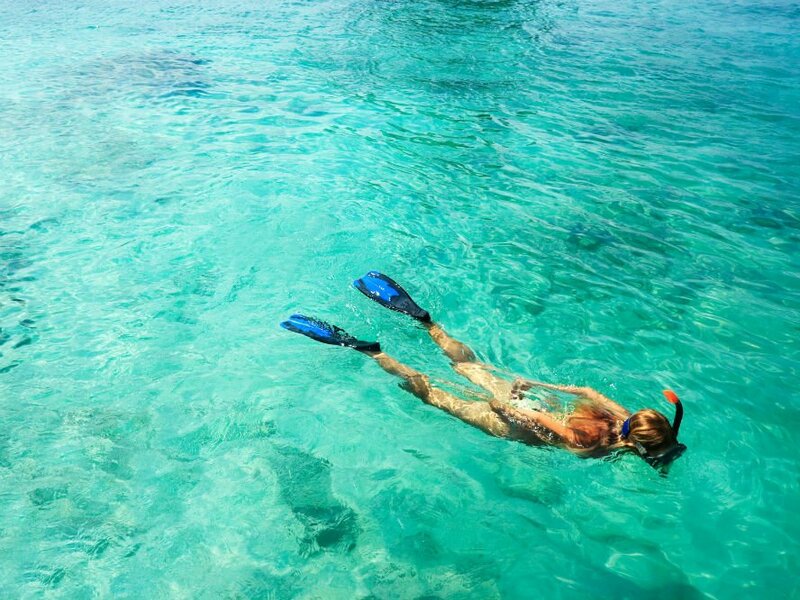 The package of the NatyFly wetsuit includes one wetsuit and its key components, so all you need to do is unbox it, wear it properly, and head out on your underwater adventures. Neoprene construction – The NatyFly wetsuit is crafted from 2mm thick neoprene material to keep your child comfortable and warm in the water. 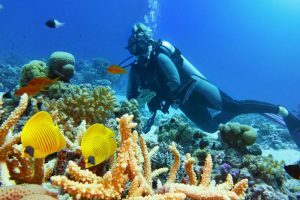 Most of the best wetsuits are made from neoprene for several good reasons, starting with the outstanding physical toughness it offers. It maintains its flexibility when exposed to a wide range of temperatures, and its chemical properties make it oil, heat and chemical resistant compared to regular rubber. 2mm thick neoprene is the right amount of thickness for strong protection as well as appropriate cushioning. Flatlock stitching –The NatyFly wetsuit is constructed with several separate tailored panels that are joined together with the help of flatlock stitching. This type of stitching involves laying one panel edge over another, and then stitching through the neoprene material resulting in flexible and strong seams. 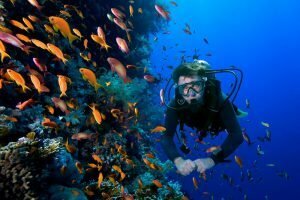 Apart from durability, flatlock stitches also reduce seam irritation and provide optimal comfort when underwater. Extra-long leash – This, along with the integrated YKK zipper, allows easy entry and exit to the wetsuit. YKK is one of the world’s largest zipper manufacturers, and every product leaving their stable is built to high quality standards and attention to detail. Sun protection – The NatyFly wetsuit provides UPF (Ultraviolet Protection Factor) 50+ sun protection, meaning it allows just 1/50th of the sun’s UV radiation to reach your child’s skin. The higher the UPF ratting, the lower the amount of radiation that passes through the fabric, so wetsuits with a UPF rating of 50 will effectively protect your child from the harmful rays of the sun. 100% satisfaction guarantee – Unlike most manufactures, the entre kids NatyFly wetsuit lineup is backed by an unconditional 30 day refund, which alone speaks volumes about the quality you can expect. The NatyFly wetsuit features a back-zip design and comes with an extra-long leash, making it easy to get in and out of it. 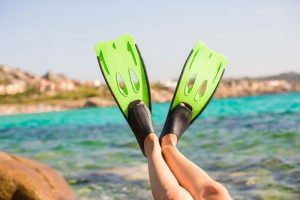 Start by pulling the wetsuit over your child’s feet and ankles, and then slowly work it up over their thighs. Next, gently pull up the neoprene fabric over their hips until the wetsuit reaches crotch level, and then all the way up the torso. Lastly, put one sleeve on at a time and secure the wetsuit with the integrated YKK zipper. The NatyFly wetsuit is made from 2mm thick neoprene material, which is the right amount of thickness to keep your child comfortable and warm. However, if you like the high quality of the NatyFly wetsuit but desire a little more thickness, the DIVE & SAIL Kids wetsuit is worth checking out. 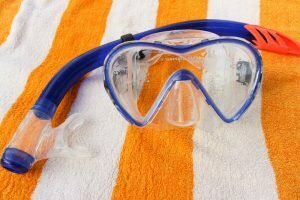 It is made from 90% neoprene and 10% nylon, and can be had in a choice of four great colors including yellow and orange. If you’re looking for a wetsuit that offers the right mix of quality and performance, the NatyFly range of kids wetsuit won’t disappoint. They are made from 2mm thick, high quality neoprene, and can be ordered in a pallet of great colors including pink and green. Additionally, they are appointed with an extra-long leash and industry leading YKK zipper, so you can be rest assured that they will last you for many years to come!